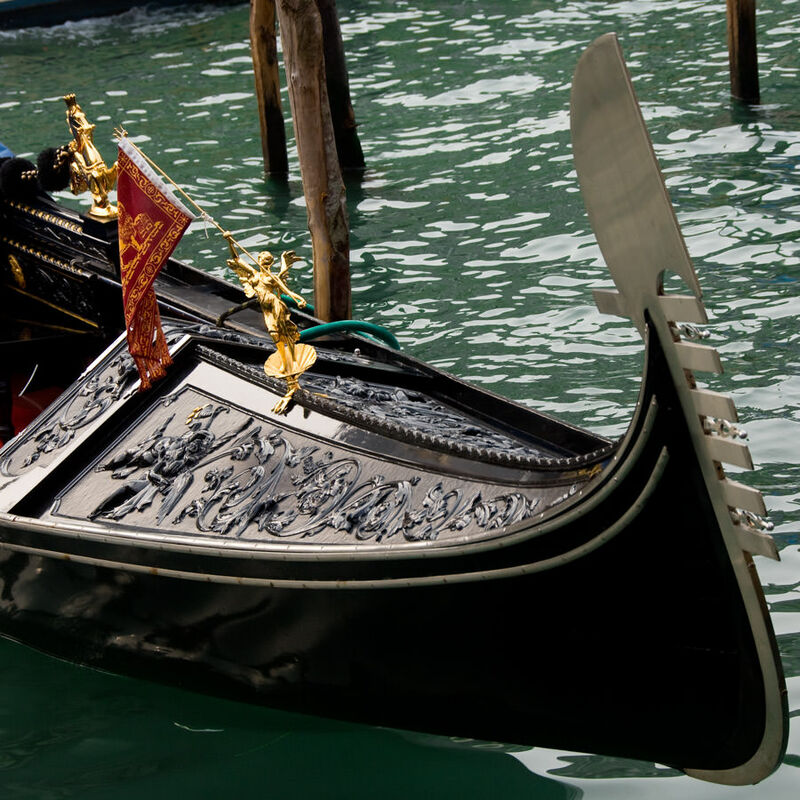 The work of the “intagiadori” gives the gondola its character of a boat created for pleasure. 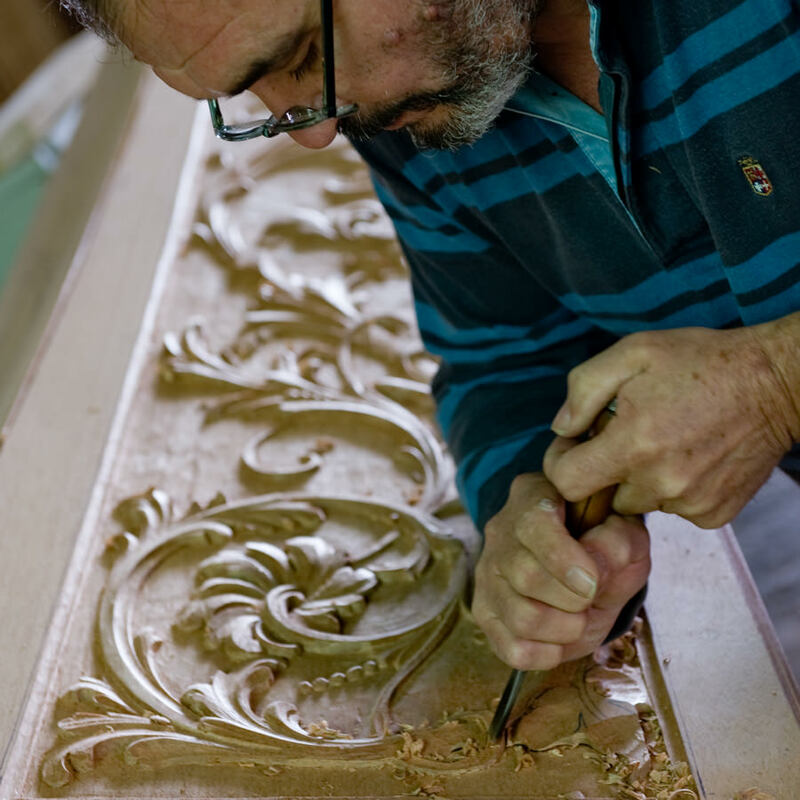 The “intagiadori” are the engravers of the parts of the gondola that can be carved. They work in the finishing and decorating phase. From the “barca lissa” (plain boat), on which only the “trasto” (thwart) is decorated, to the “barca de lusso” (luxury boat), where the carving is not restricted to the external parts of the boat but is also applied to the “parécio”, the seating for the passengers. Above all, it is the work of the “intagiadori”, along with that of the gilder which gives the gondola its character of a boat created for pleasure. The engravers can be specialised in “ornat” or “figurative” work, but in either case the gondolier will make a selection from a repertory of designs accumulated by the engraver. 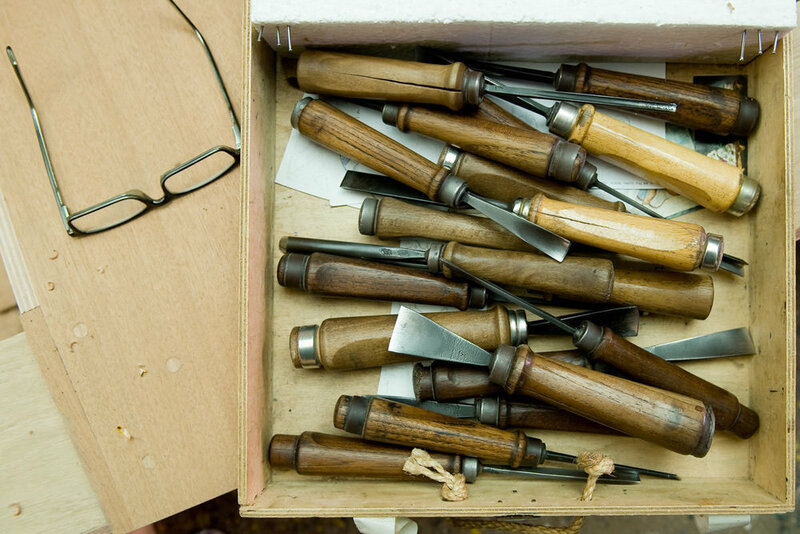 The engraver brings his tools and life-size drawings, to be copied using tracing paper, to the boatyard. Then the work of gouging and chiseling begins, from the first rough cuts to the most delicate details. The “intagiadori”, together with the wood sculptors, were part of the ancient Art of “depentori”, whose Statute dates back to 1271, and was characterized by disputes among its members from different trades. For this reason, in 1457, the “Provveditori del Comun” established a separation between them. I took these pictures inside the squero Dei Rossi in the Giudecca island. The tools of the "Intagiador"